Big Thank You to Greenwich Time! Nantucket vacationers now have a local eatery where they can savor an island hot spot in downtown Greenwich. Something Natural, a bakery and sandwich shop, has opened it first location outside of Nantucket in downtown Greenwich. The shop is located in a cozy, restored home that boasts a Greenwich Avenue address, though it’s located in the parking lot behind Saks Fifth Avenue. The 1870s-era home once served as the carriage house for a long-ago mansion on the avenue, according to Molly Hirschel, co-owner of Something Natural Greenwich. Bedford, N.Y., residents Hirschel and her husband Seth, along with Greenwich caterers Jennifer and James Vellano, who own Maison Privé, got permission to open the new Something Natural shop after working with the brand’s owner, Matthew Fee. The Greenwich location’s menu and prices are “exactly the same” as in Nantucket, Molly Hirschel said, with the exception that Greenwich’s shop added five signature salads created by the Vellanos. To fulfill their promise to Fee of honoring the brand’s vision and reputation, the Greenwich owners ensured the space preserves the original Something Natural shop’s atmosphere, both through the quality of food and the renovations. The owners liked that the former carriage house was built around the same time as its Nantucket counterpart, but its age meant putting in some extra legwork. Previously, the home mostly housed temporary and pop-up shops, so it had received little upkeep, according to the Hirschels. In the basement, they found whiskey bottles stuffed into the walls that they say were from the Prohibition era, which they now proudly display in the store. To preserve another piece of the property’s heritage, they kept two of the home’s original Victorian windows and then ordered all the new ones customized to match, Seth Hirschel said. “We want this to be as authentic as possible,” his wife added. The couples who now co-own Something Natural Greenwich run several business ventures together. They originally contacted Fee about gaining permission to sell his juice line in their Bedford store when the conversations evolved into inquiring about opening another Something Natural. Their shared love for eating at Something Natural while growing up vacationing on Nantucket is a big part of what drew all the owners together around wanting to open another location, he said. So far, many of the sandwich shop’s customers have been those who knew of the brand from Nantucket, but it’s steadily attracting more people who work around the avenue, Molly Hirschel said, adding they’ve had customers come from across Fairfield County and a couple who said they had to stop by on their way back from Nantucket. 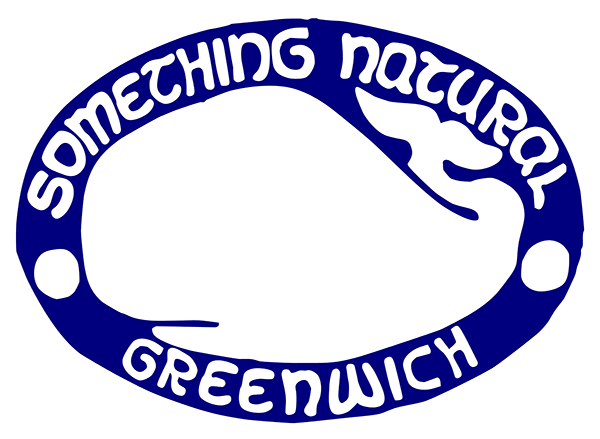 Something Natural Greenwich is located at 189 Greenwich Ave. Thank you Greenwich Time for the mention!